Complex systems of microscopic tunnels found inside garnet crystals from Thailand are most likely the result of microorganisms making their homes inside these minerals, according to a study published August 8, 2018 in the open-access journal PLOS ONE by Magnus Ivarsson of the University of Southern Denmark and colleagues. Endolithic organisms are those that live inside a substrate, be it mineral, wood, bone, or some other material. Some microbes move into pre-existing cavities while others dig their own way in, but this behavior is unexpected in highly resistant minerals like garnet. 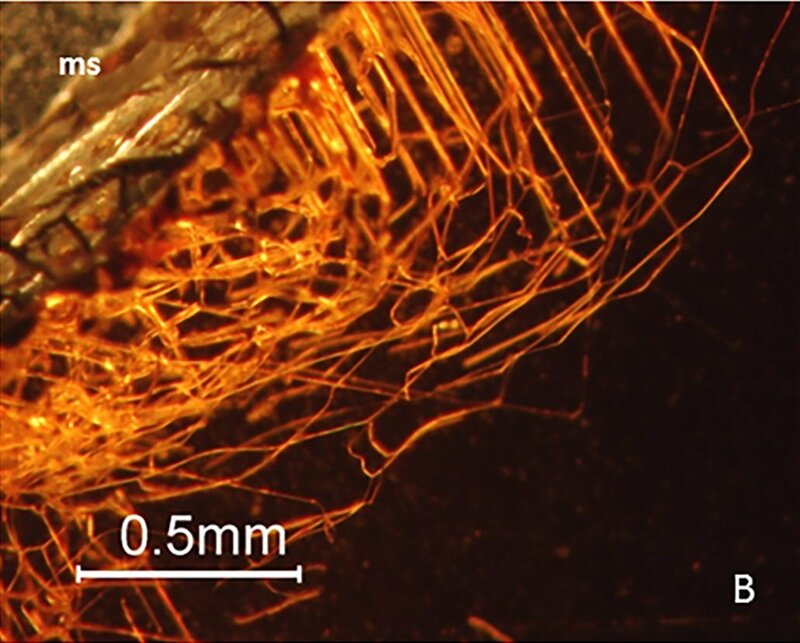 In this study, Ivarsson and colleagues examined the structure and content of intricately branching tunnels inside garnet crystals from river sediments and soils in Thailand to determine whether they were formed by abiotic or biotic processes. 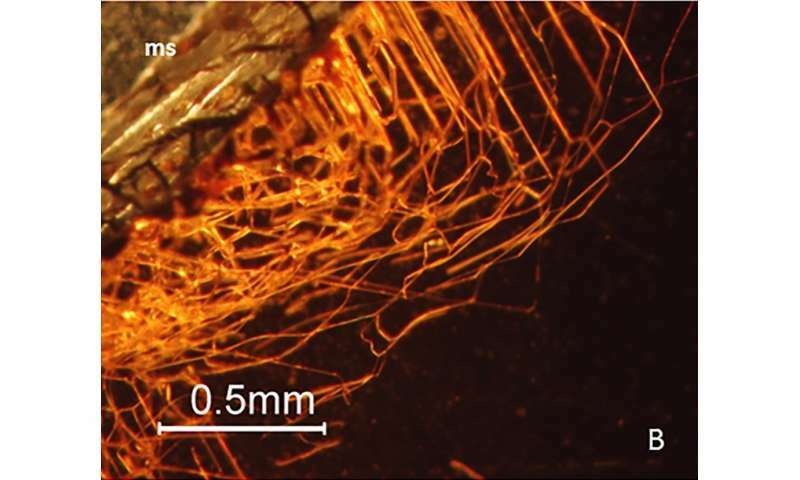 Chemical analysis of the tunnels found lingering organic compounds and filament-like structures reminiscent of bacteria and fungi, strongly suggesting that microbes once lived inside. Whether or not these organisms excavated the tunnels is less clear. The shape of the tunnels, examined under microscopy, doesn't completely rule out an abiotic origin, but certain features characteristic of endolithic lairs, such as anastomoses (connecting passages between adjacent tunnels) suggest the tunnels were at least partially formed by endolithic microbes. 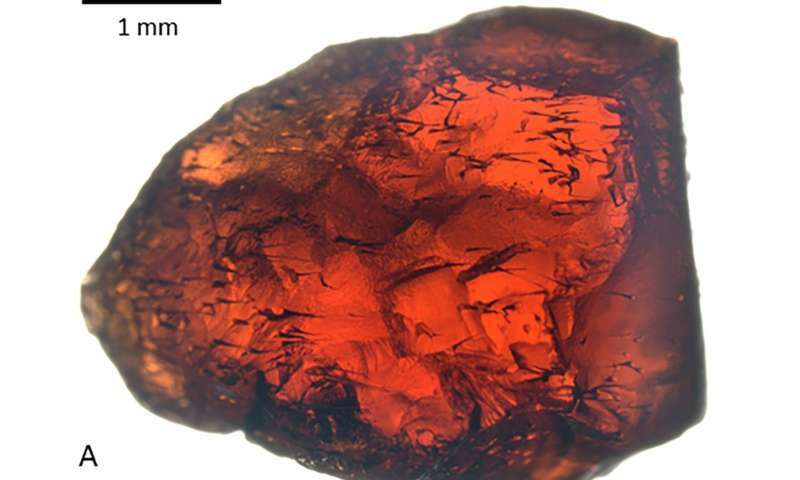 These tunnels were originally noted because they "significantly decrease the quality and value of the garnets as gems," but this study has shown that they also represent a previously unrecognized habitat for endolithic organisms. 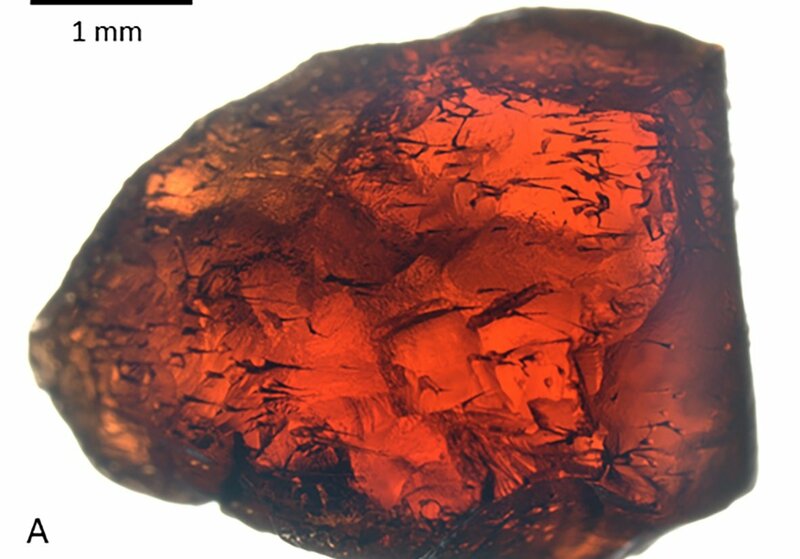 In iron-poor sediments like those studied here, garnets represent a rare source of iron for iron-oxidizing microbes, but confirming the identity of the tunnel-borers will require observations of live organisms in a laboratory setting. Ivarsson notes: "The reported tunnel system in garnets represents a new endolithic habitat in a hard silicate mineral otherwise known to be resistant to abrasion and chemical attack."